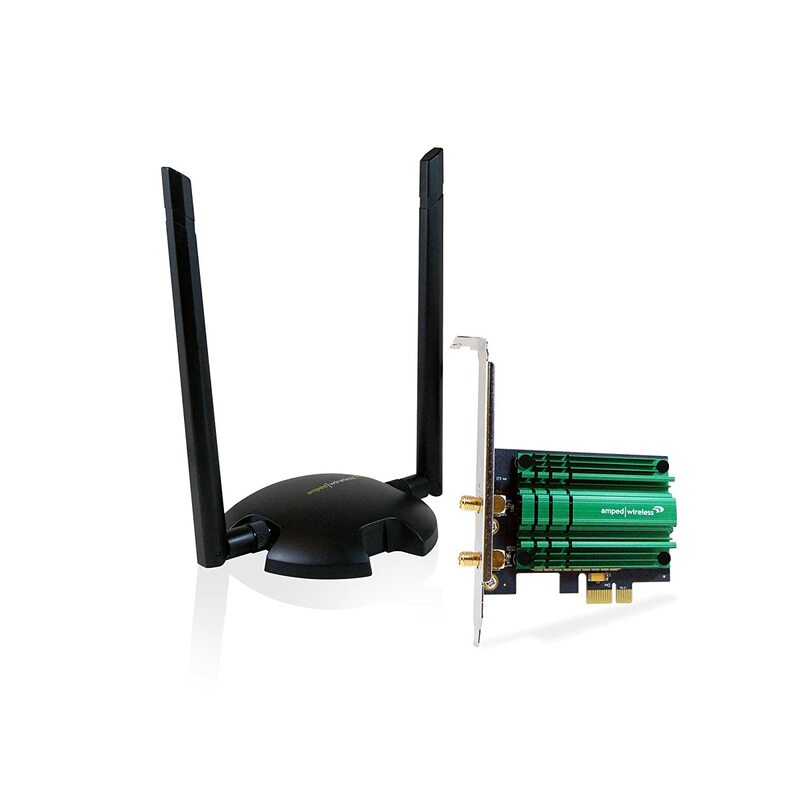 The Amped Wireless High Power AC1200 Wi-Fi PCI-E Adapter allows your desktop computer to connect to Wi-Fi networks from extreme distances and with blazing speed. The PCI20E is a high performance Wi-Fi network adapter that features high power amplifiers and high gain dual band antennas to achieve up to 3 times the range of standard Wi-Fi adapters. 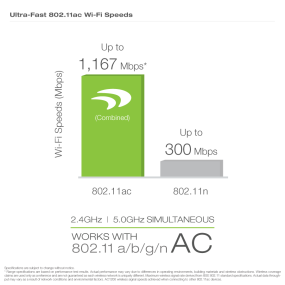 It connects to your desktop PC with PCI-E and features AC1200 Wi-Fi technology to provide unprecedented Wi-Fi connection speeds: Up to 300Mbps for 2.4GHz networks and up to 867Mbps for 5.0GHz connections. 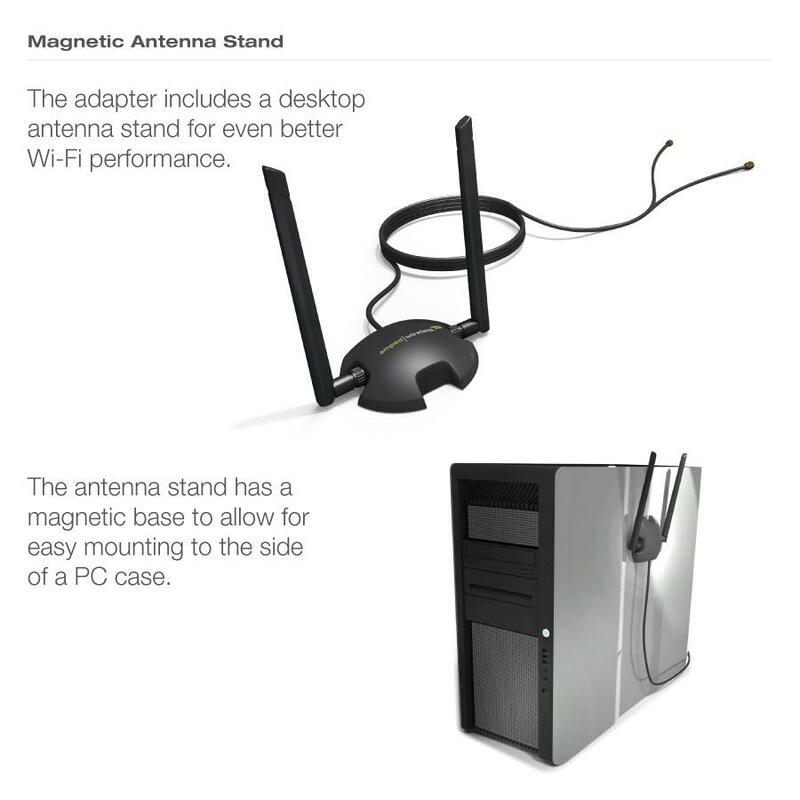 The included magnetic antenna stand allows the antennas to be placed on top of a desk or mounted to a computer case for optimal signal reception and transmission. The PCI20E allows you to stream HD content, download large files, and surf the web faster than ever before and with more range. 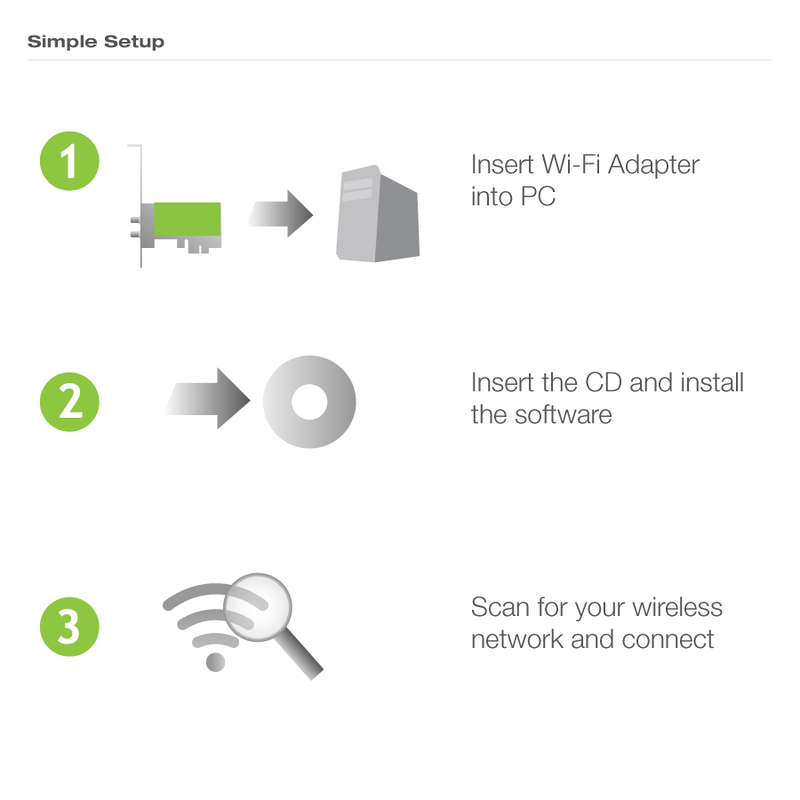 See how the PCI20E works. Uncover our High Power Technology. A convenient magnetic antenna stand. 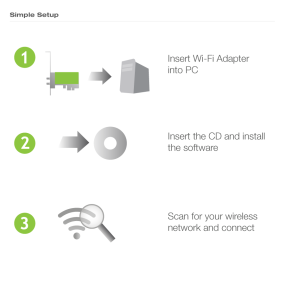 Simple setup in 3 steps, learn here. Grasp the difference in Wi-Fi speeds. 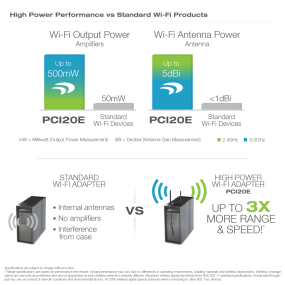 Learn more about High Power vs Standard Wi-Fi products. At Amped Wireless we do things different. We build best-in-class products with industry leading technology and stand by every product we produce with superior customer service. 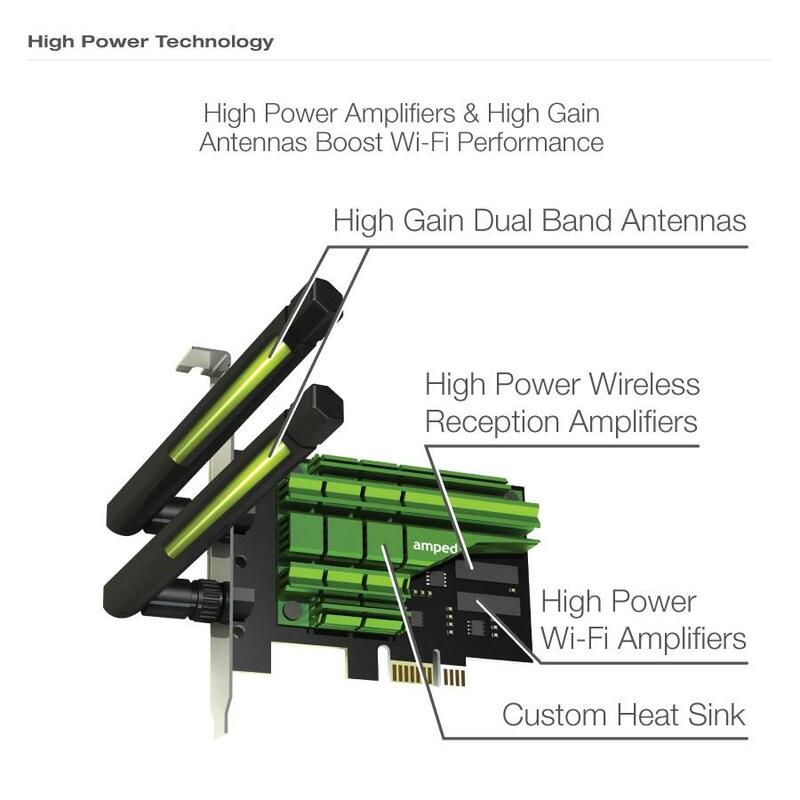 We focus on high power, well performing Wi-Fi - to give our customers the best wireless experience available on the market. We know that the best wireless experience doesn't end at High Power technology and that is why we have Elite Support, our in-house U. S. based support team. Our Elite Support team is knowledgeable, passionate, and ready to answer your questions, 7 days a week. 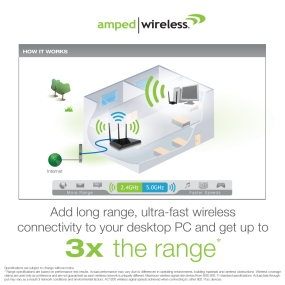 Top of the line technology, High Power products, and superior customer service - that is The Amped Wireless Difference. Extreme Dual Band Range - Connect your desktop PC to Wi-Fi networks from greater distances. High Power 802.11ac Technology - Two high power 2.4 GHz amplifiers, two high power 5.0GHz 802.11ac amplifiers and two high gain dual band antennas provide maximum range. 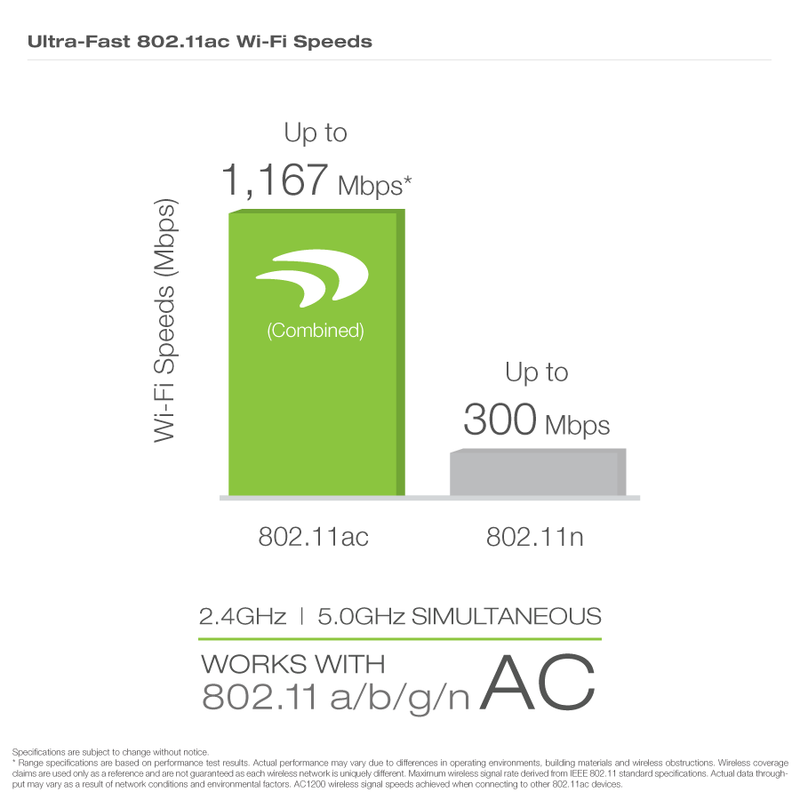 Ultra-fast AC Wi-Fi Technology - Features next generation AC1200 Wi-Fi technology for transfer speeds at 2.4GHz 300Mbps and 5.0GHz 867Mbps. High Gain, Dual Band Antennas with Stand - Optimally tuned, advanced high gain 5dBi detachable antennas with a magnetic stand for optimal performance. Advanced Heat Sink Keeps Things Cool - Includes a high dissipation heat sink to avoid overheating and to keep performance at its highest level.